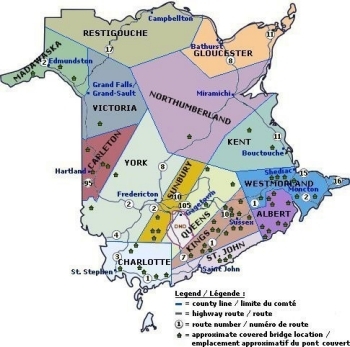 -The New Brunswick winter fishing season is open from January 1 to March 31. 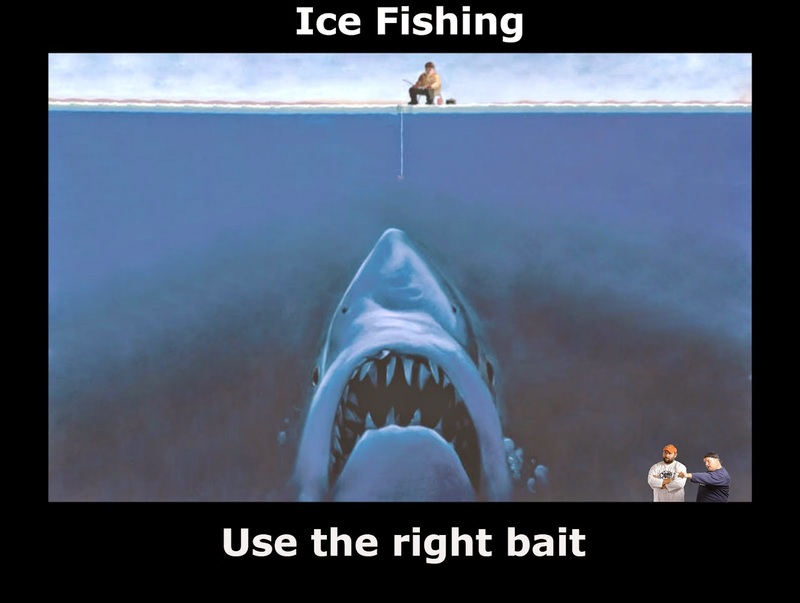 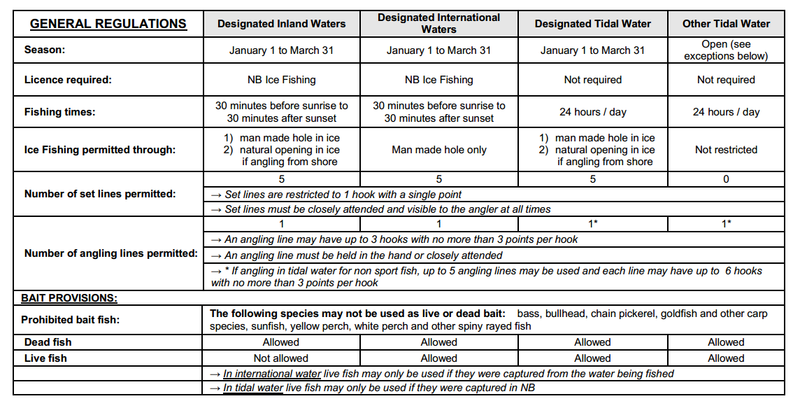 -Designated inland, tidal and international waters are open for ice fishing during this period. 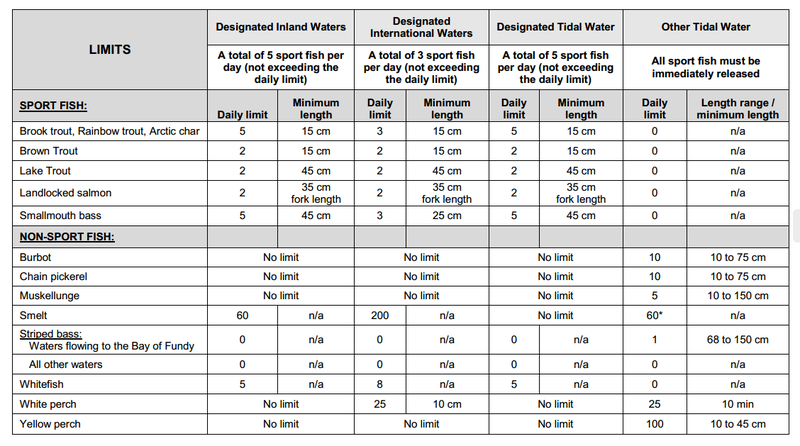 -Ice Fishing Shacks: must be removed prior to midnight April 2 or earlier as stipulated by Fisheries and Oceans Canada, must bear the name and address of the owner in print at least 5 cm in height.